Johannesburg – The escalation of the amount of civil claims against the SAPS over the past two financial years is of concern, Parliament’s police portfolio committee chairperson said on Thursday. Police needed to review protocols and ensure this amount was reduced, Francois Beukman said at a discussion about human rights and policing, held at the SA Human Rights Commission in Johannesburg. In the 2015/2016 financial year, civil claims escalated to R14.6bn, of which R290m was paid out. Another R7.3bn was either cancelled or reduced. “Most of the cases related to illegal detention, shooting incidents, as well as illegal arrests,” he said. Independent consultant and researcher, Melanie Dugmore, said the abuse of police power mostly involved arrests and people in police custody. Beukman said it was important for those in authority to set high moral standards for officers to emulate. He expressed concern about the proposed reduction in the number of police members. “In terms of the budget that was tabled in Parliament, SAPS will cut their number of staff in the next three years by 3000. That means there will be more pressure on current members in terms of performing their duties effectively, and to ensure that they act in line with the Constitution,” he said. 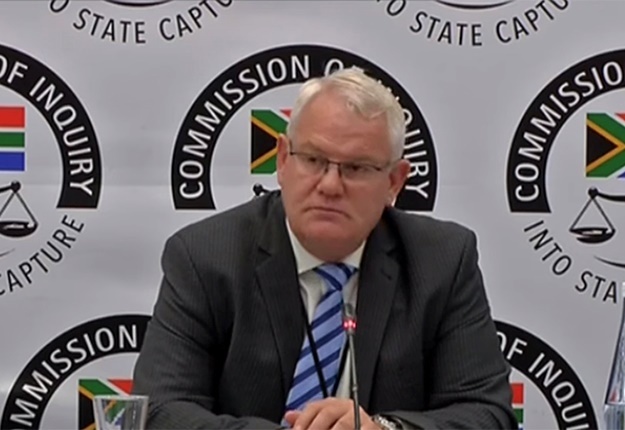 SAHRC commissioner Chris Nissen said police had to respect human rights in executing their duties so they could gain the trust and confidence of communities. Commission chairperson Bongani Majola condemned the killing of police officers. People needed to protect and support police as they maintained law and order. “As the South African Human Rights Commission, we are greatly pained every time a policeman is killed,” he said. Major General Maropeng Mamotheti hoped the discussion would help promote a culture of human rights in policing. Deputy national police commissioner Lieutenant General Fannie Masemola and Police Minister Fikile Mbalula were not in attendance as they had to attend to renewed protests in Vuwani, Limpopo. The two-day dialogue is hosted by the African Policing Civilian Oversight Forum, in partnership with the SAHRC.